My wife, Ruth and I have been long time residents of this community. We have two children, Nicholas and Matthew. In this term, I hope to promote community growth and development and improve the governance of the Town of Balgonie. 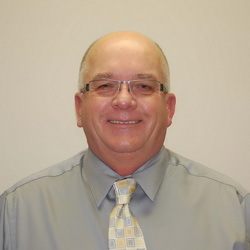 As Mayor of Balgonie, Frank is automatically on all Council Committees and will also be representing Balgonie in the White Butte Regional Planning Committee. Having strong ties to this community, I believe that by serving on Town Council, it provides me with a great opportunity to put back into a community that I have had the fortune to enjoy for so long. 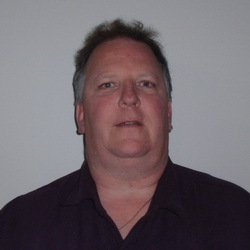 I graduated from Greenall in 1983 and have been a resident of Balgonie since 1988. I plan to use both the experience I have gained over the last 25 years as a Professional Engineer and the opportunity of being a leader in a large Corporation to help positively direct the Town as we advance through this term. Credibility and integrity have always been very important to me. As part of the team my responsibilities includes; Deputy Mayor, Finance Committee, White Butte Regional Committee, Health and Cemetery Committee and the Protective Services Committee. A dynamic member of Balgonie’s growth, now and into the future, this has always been Darren’s home. He resides here with his wife Carrie and children, Taylor and Matthew. It is a community he is very proud of and he supports it as an active parent, Elk Member and volunteer. Other interests include his weekly recreational hockey games, broomball, fishing and coaching both Griffins Football and Prairie Storm Hockey. A first term Councillor, Darren is excited to represent the residents’ best interests in Balgonie. Darren has been appointed to The Recreation and Web site, Buildings and Land and Finance Committees. Doug has been a member of community for the past 16 years. He and his wife, Brenda have three children with two in post-secondary education and one high school. 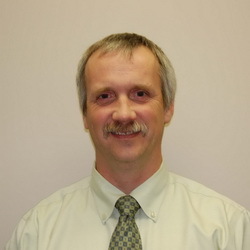 Doug is an owner of small business and employed full time at Regina General Hospital as environmental planner. Doug is currently the deputy chief of Balgonie Fire and First Responders and also the president of Saskatchewan Volunteer Fire Fighters Association. 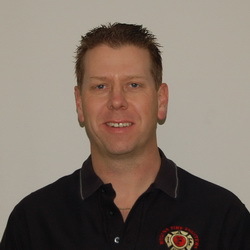 Doug has is a Level one fire service instructor, as well as first aid and CPR. 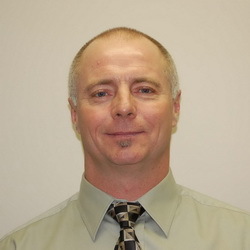 Doug is a first term councillor and a member of the Equipment, Maintenance and Engineering, Public Works and Utilities Committee as well as Finance Committee. I am pleased to have been elected as a member of the Balgonie Town Council. I have been a resident here for 14 years and I am excited to be a part of Council whose goal is the continued growth and prosperity of this community and the completion of the water and sewer infrastructure projects. My portfolio includes chair of the Public Works and Utilities Committee and to assist with the Equipment, Maintenance and Engineering and Finance committees. As your voice on Council, I want to promote an approachable and transparent Council, so please feel free to contact me with any concerns you may have. 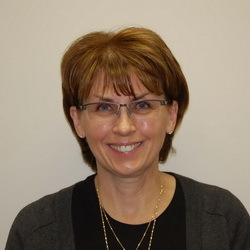 Janet has lived in Balgonie for over 33 years and is married to a native Balgonian, Pat Wagman. They have raised two daughters in the community and one has returned to Balgonie to raise her family here as well. Janet has worked for the people of Saskatchewan, as a business auditor with the Ministry of Finance, for 35 years and is very excited to work for the people of Balgonie as a Councillor. Pat and Janet have owned and operated Balgonie Carwash since 1999 and feel fortunate to be able to invest in this progressive community. Janet believes in an open and transparent government that listens to the taxpayers. As one of your representatives on Council, Janet will work for the enrichment of our town. A first term Councillor, Janet has been appointed to the Buildings and Land, Finance and Recreation committees. Please feel free to contact Janet anytime by phone or e-mail. This is Glenn’s fourth term on Town Council. 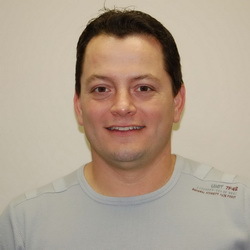 Glenn was raised in Balgonie and has lived here all of his life except for about seven years during his late teens and early twenties when he lived in Regina. Glenn and his wife, Rose have two children, a son who is at Greenall High School and a daughter attending Balgonie Elementary School. Glenn has worked for the Regina Fire Department for more than twenty years. Glenn’s priorities for this council term are completion of the water project, completion of the green space planned for in Westview subdivision and a new swimming pool for the town with the assistance of government grant funding. Glenn supports growing the community in a controlled and responsible fashion to benefit the current town residents as well as newcomers.